Engineers testing the Curiosity Mars rover are wrapping up a series of robot arm calibration and motion tests before resuming a slow trek toward a nearby rock formation this weekend, on the lookout for a suitable stone to reach out and touch in an initial round of "contact science," officials said Wednesday. 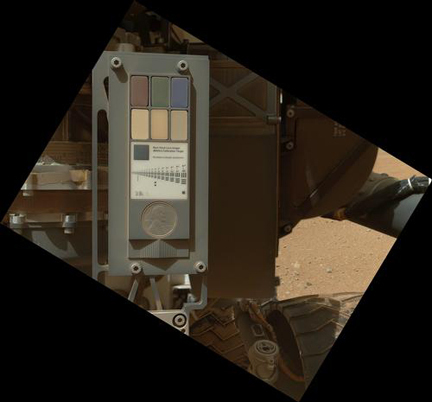 The goal is to make sure the arm can precisely position a sensitive camera and an X-ray spectrometer as required for "hands on" geological observations, including eventual operations with a sample scoop and a compact drill. With the tests nearly complete, the arm has performed in near flawless fashion. "It's sol (martian day) 37 on Curiosity on Mars and she is currently sleeping but is very healthy and preparing to complete her absolute final day of characterization activity," Mission Manager Jennifer Trosper told reporters Wednesday afternoon. "We've been talking about these characterization activities since we landed. (These are) early mission checkouts we use to incrementally test out the capabilities of the rover and that checkout period is for the purpose of fully commissioning Curiosity for the science mission. The success so far of these activities has been outstanding. Throughout every phase of the checkouts, Curiosity has performed almost flawlessly." Curiosity landed on the floor of Gale Crater on Aug. 6. Engineers spent the first 16 days of the mission deploying various appendages, testing the rover's communications systems, updating its operating system software and checking out its instruments and updated motor control software. Curiosity then began remotely inspecting rocks at its landing site before beginning a short, but time-consuming, drive to an area known as Glenelg where three different types of rocks come together. After covering the length of a football field or so, the rover paused last week for a series of robot arm tests. If the final checks go well, commands will be uplinked to resume the 1,300-foot trip to Glenelg. "Over the last week, we have essentially completed all but one of the robotic arm checkout activities," Trosper said. "From an engineering perspective, we were able to confirm our ability to move the arm to all our calibration targets as well as ... key locations on the rover where we need to move the arm in order to perform operations, particularly sampling." Assuming a final test Thursday goes well, the plan Friday is to "drive, drive, drive until the science team finds the desired rock where we want to perform the first contact science observations with MAHLI and the APXS instrument," she said, referring to the Mars Hand Lens Imager and the Alpha Particle X-ray Spectrometer, both mounted in a turret on the end of the robot arm. Engineers initially predicted it would take 25 sols to complete the initial checkouts "and it's taken us 26," Trosper said. "So, not bad. 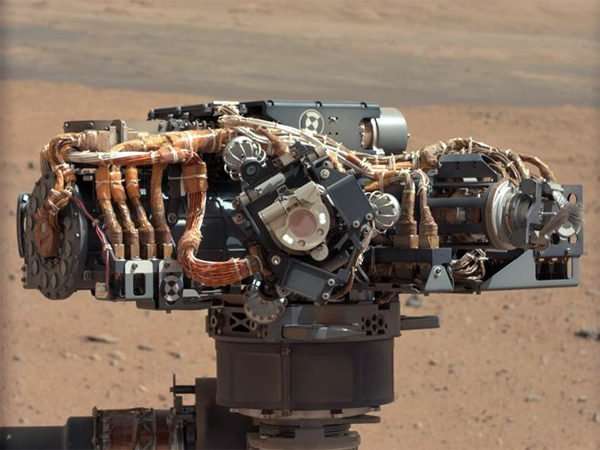 Compared to earlier rovers, Curiosity initial progress is especially promising. For the Pathfinder mission, engineers typically lost about one in three sols where "we wouldn't accomplish what we intended to for some reason or another," Trosper said. "On Spirit and Opportunity, during the prime mission our loss-of-sol rate was about one in 10 sols. "Now on (Curiosity), we're doing even better than that, being only one sol behind our original plan after 36 sols of operations," Trosper said. "So, I think this is a great indication of the enormous amount of science exploration this rover's going to be able to do over the course of its two-year lifetime." 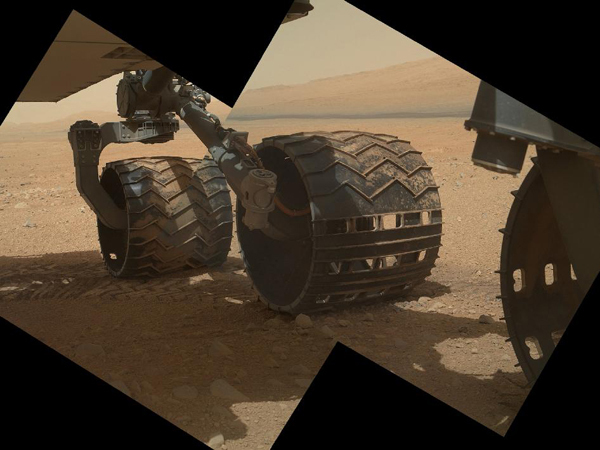 NASA unveiled striking new photographs Wednesday, including a panorama shot by the MAHLI camera at near ground level showing the undercarriage of the rover with its eventual target -- Mount Sharp -- rising in the background. Other photos showed covers opening and closing on the rover's upper deck exposing inlets where soil samples eventually will be deposited into a sophisticated analytical instrument. 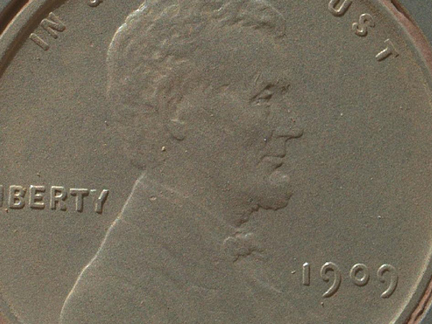 The MAHLI camera also captured an extreme closeup view of a 1909 penny that serves as a calibration target. Tiny dust grains blown up onto the spacecraft by its landing rockets are clearly visible. The resolution of the closeup image is 25 microns per pixel. If the camera can be positioned close enough to a potential target, that resolution could improve to 14 microns per pixel. With the robot arm tests virtually complete, "we're headed towards Glenelg and we're trying to get to a location where we would find a rock to do contact science on," Trosper said. "So we will drive until the science team finds that rock, then we will stop and position the rover to do the contract science with APXS and MAHLI. "Then we will continue to drive to another location, hopefully a sandy location where we can begin to scoop. That would be a few weeks after we get to the location for contact science and that's kind of our first sampling experience." After initial scoop tests and sample collection runs, the final remaining hurdle will be to check out Curiosity's arm-mounted rock drill, which will be used to collect samples from the interiors of targeted rocks.